I first saw Paper Planes Back Home by Tara Frejas on Instagram. I remember feeling desperate for a copy. One, that lovely cover. Two, that lovely cover. Yes. I initially didn’t care what the book was about; the superficial book cover judge in me just wanted a copy. This was such a good read! And not just because there are clouds *wink Bookbed wink* on the cover but it blew me away, flying me to a world where only a few other Filipino novels have ever taken me before. I know, HUGE WORDS. 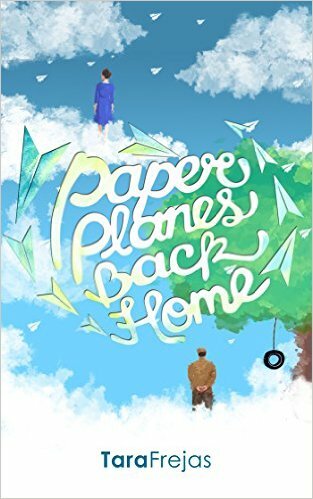 But with its premise (depicting the in-between of life and death) and execution (using unrequited and forbidden love), Paper Planes Back Home deserves to be read and recommended, especially to hesitant readers of Filipino romance fiction. The setting is at the least exciting place: a hospital. The main characters are in a coma, with their spirits stuck in a place where only paper planes made from thoughts of their loved ones can bring them back to life—an impossible feat to achieve, especially when there are zero thoughts for them. The conflicts are in many layers—family business, forced marriage, unplanned pregnancy, underachievement—that it can drive away the remainder of hope. “How do you make that work?” With flashbacks, unpredictability and creative plotting, that’s how. Bookbed received an ebook from the author.